The Sir Arthur Conan Doyle Estate backs Sherlock Holmes musical, which took a starring role in the 2017 New York Musical Festival. 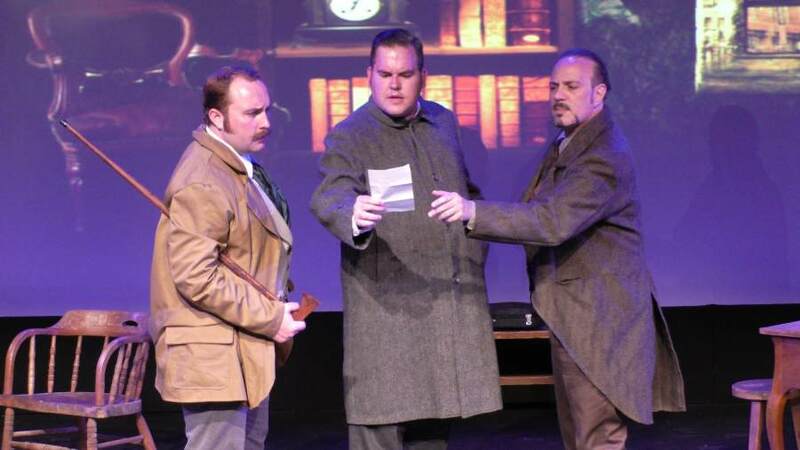 As the curtain goes down and the reviews come in,The Conan Doyle Estate is proud to reveal the success of MY DEAR WATSON a Sherlock Holmes musical, which took a starring role in the 2017 New York Musical Festival. The production was funded in part by The Conan Doyle Estate. Conan Doyle Estate director, Richard Doyle, says of the collaboration, "The Conan Doyle Estate's main aim is to have the voice of Sir Arthur Conan Doyle heard by modern audiences. I am sure my great uncle would have been delighted that his family, through the Conan Doyle Estate, is supporting My Dear Watson. His passion for innovation and the arts is beautifully represented by Jami-Leigh Bartschi." "My Dear Watson is a clever tale of mystery at The New York Musical Festival. With Book, Music, and Lyrics by Jami-Leigh Bartschi, My Dear Watson takes the classic Sir Arthur Conan Doyle characters and puts them into a revolving chess match. This London story takes place on the street, in the laboratory, and in a flickering study at Birlstone Manor. The melodic score, orchestrated with a piano and violin, gracefully moves up and down the scale. The bowler hat, the pipe, and the teapot all bring us into the world of London, where grisly murder makes headlines. The creative team has done a lot right to establish the world of the play. With NYMF so quick and “on the fly,” the antique tables and chairs easily blend to the backdrop, complete with a projections by Dana Mott. Pocket watches fly though. It’s magical and moving in the way that musical theater should be. John DiDonna, who also serves as the Director of the piece, is dashing as Holmes. His performance is steely, sharp, and clear. His voice, although a bit raspy, carries across the NYMF stage. Set against the portly frame of Dr. John Watson, played by Kyle Stone, they are a memorable duo. Sherlock and Watson delve into the moment by moment investigation. To be a detective takes skill, and Holmes has it in droves. Jason Blackwater as Professor Moriarty challenges, often peering over the firm Holmes, creating believable dramatic tension. Though it’s dominantly a cast of men, a performance by Liz Curtis as Mrs. Hudson really shines through. Her age and stature round out a formidable picture of London society. In Act One, an action packed story unfolds. Guns are fired and a body eventually shows up on the floor. Bloody and debated, murder becomes the topic of the day. Meanwhile, soothing melodies are pleasant and memorable. Determining why man is more important than machine becomes crucial. Though there isn’t much dancing, the cast glides together with each new discovery. In Act Two, Bartschi is looking as an in-road to essential humanity. The song, “Where Are You, My Friend?” brings out the softer side of Watson. With delicate phrasing, his psychology is slowly revealed. Adding complication, the stage really bursts alive with the song, “It’s Like a Game.” The melody is punctuated; hearing the sounds when seeing the players is an astonishingly coherent experience. Violence reoccurs when a character is grazed a bullet, and the moment proves to be pivotal more than glib. A fight sequence brings blackouts and red lighting, to heighten an otherwise plaintive study of the great detective."